Certified. CARFAX One-Owner. Clean Carfax - 1 Owner, Porsche Approved Certified Pre-Owned, AWD, Gray, Driver Memory Package, Heated Front Seats, Lane Change Assist (LCA), Panoramic Roof System, Porsche Connect, Wheels: 18" Macan S. 2018 Porsche Macan Gray AWD 7-Speed Porsche Doppelkupplung (PDK) 2.0L I4 Turbocharged Clean CARFAX. Recent Arrival! Porsche Approved Certified Pre-Owned Details: * Warranty Deductible: $0 * Roadside Assistance * 2 year/Unlimited miles beginning after new car warranty expires or from certified purchase date. Includes Trip Interruption reimbursement * 111 Point Inspection * Transferable Warranty (between private parties) Call, email or come in to find out more about this and other pre-owned Porsches at Porsche South Bay, a 2018 Premier Porsche Dealer! Certified. CARFAX One-Owner. Clean Carfax - 1 Owner, Purchased new at Porsche South Bay, Serviced at Porsche South Bay, Porsche Approved Certified Pre-Owned, 7-Speed Porsche Doppelkupplung (PDK), AWD, Sapphire Blue Metallic, 20" RS Spyder Design Wheels, ABS brakes, Driver Memory Package, DVD-Audio, Electronic Stability Control, Front dual zone A/C, Heated door mirrors, Heated Front Seats, Illuminated entry, Lane Change Assist (LCA), Low tire pressure warning, Panoramic Roof System, Porsche Communication Management, Power Liftgate, Remote keyless entry, Traction control. 2018 Porsche Macan Sapphire Blue Metallic AWD 7-Speed Porsche Doppelkupplung (PDK) 2.0L I4 Turbocharged Clean CARFAX. Recent Arrival! Odometer is 1267 miles below market average! Porsche Approved Certified Pre-Owned Details: * Warranty Deductible: $0 * Transferable Warranty (between private parties) * Roadside Assistance * 111 Point Inspection * 2 year/Unlimited miles beginning after new car warranty expires or from certified purchase date. Includes Trip Interruption reimbursement Call, email or come in to find out more about this and other pre-owned Porsches at Porsche South Bay, a 2018 Premier Porsche Dealer! Certified. CARFAX One-Owner. Clean Carfax - 1 Owner, Purchased new at Porsche South Bay, Serviced at Porsche South Bay, Porsche Approved Certified Pre-Owned, Rhodium Silver Metallic, Heated Front Seats, Lane Change Assist (LCA), Porsche Connect, Porsche Entry & Drive, Wheels: 18" Macan S. 2018 Porsche Macan Rhodium Silver Metallic AWD 7-Speed Porsche Doppelkupplung (PDK) 2.0L I4 Turbocharged Clean CARFAX. Recent Arrival! Porsche Approved Certified Pre-Owned Details: * 111 Point Inspection * Roadside Assistance * 2 year/Unlimited miles beginning after new car warranty expires or from certified purchase date. Includes Trip Interruption reimbursement * Transferable Warranty (between private parties) * Warranty Deductible: $0 Call, email or come in to find out more about this and other pre-owned Porsches at Porsche South Bay, a 2018 Premier Porsche Dealer! Certified. CARFAX One-Owner. Clean Carfax - 1 Owner, Purchased new at Porsche South Bay, Serviced at Porsche South Bay, Porsche Approved Certified Pre-Owned, Original MSRP $59,9950, Sapphire Blue Metallic, 14-Way Power Seats, ABS brakes, Automatically Dimming Exterior Mirrors, Automatically Dimming Interior Mirrors, Bi-Xenon Lighting System w/PDLS, BOSE Surround Sound System, Cargo Management, Driver Memory Package, DVD-Audio, Electronic Stability Control, Front & Rear Heated Seats, Front dual zone A/C, Heated door mirrors, Illuminated entry, Lane Change Assist (LCA), LED Headlights w/Porsche Dynamic Light System Plus, Low tire pressure warning, Memory Pkg, Navigation Module for PCM, Porsche Communication Management, Porsche Entry & Drive, Power Liftgate, Premium Package, Remote keyless entry, Surround View Camera System, Traction control, Trailer Coupling w/o Removable Ball Joint, Wheels: 18" Macan S. 2018 Porsche Macan Sapphire Blue Metallic AWD 7-Speed Porsche Doppelkupplung (PDK) 2.0L I4 Turbocharged Clean CARFAX. Recent Arrival! Odometer is 547 miles below market average! Porsche Approved Certified Pre-Owned Details: * 111 Point Inspection * Roadside Assistance * 2 year/Unlimited miles beginning after new car warranty expires or from certified purchase date. 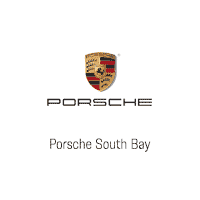 Includes Trip Interruption reimbursement * Transferable Warranty (between private parties) * Warranty Deductible: $0 Call, email or come in to find out more about this and other pre-owned Porsches at Porsche South Bay, a 2018 Premier Porsche Dealer! Certified. CARFAX One-Owner. Clean Carfax - 1 Owner, Purchased new at Porsche South Bay, Porsche Approved Certified Pre-Owned, Sapphire Blue Metallic, 14-Way Power Seats, 20" RS Spyder Design Wheels, ABS brakes, Auto-dimming door mirrors, Driver Memory Package, DVD-Audio, Electronic Stability Control, Front & Rear Heated Seats, Front dual zone A/C, Front Seat Ventilation, Fuel Filler Cap in Aluminum Look, Heated door mirrors, Heated front seats, Heated rear seats, Illuminated entry, Lane Change Assist (LCA), Low tire pressure warning, Memory Pkg, Navigation System, Porsche Communication Management, Porsche Entry & Drive, Power Liftgate, Power moonroof, Premium Package Plus, Remote keyless entry, Sideblades in Exterior Color, Traction control. 2018 Porsche Macan Sport Edition Sapphire Blue Metallic AWD 7-Speed Porsche Doppelkupplung (PDK) 2.0L I4 Turbocharged Clean CARFAX. Recent Arrival! Odometer is 2513 miles below market average! Porsche Approved Certified Pre-Owned Details: * 2 year/Unlimited miles beginning after new car warranty expires or from certified purchase date. Includes Trip Interruption reimbursement * Roadside Assistance * Transferable Warranty (between private parties) * Warranty Deductible: $0 * 111 Point Inspection Call, email or come in to find out more about this and other pre-owned Porsches at Porsche South Bay, a 2018 Premier Porsche Dealer!